Junior Kyle Jones is taking after his dad by playing football, and has thrown for nearly 1,000 yards this year at Penn Charter. Kyle Jones is in the family business, but unlike his dad, he’s playing quarterback. And he’s leading the Penn Charter offense. The way Kyle Jones sees it, he has his own personal offensive football coach. When he’s at home, he doesn’t have to go far to get advice. After games, he has the perfect person to break down film with. And if he needs to get a message to his offensive line, he has a direct line of communication. Jones is a junior quarterback at Penn Charter. His dad, Casey, who once starred at Father Judge High School and later at Temple, is the Quakers’ offensive line coach. Together, they’re helping Penn Charter improve every day. “It’s really great to have him because he’s been my football coach my whole life,” said Jones, who lives in Torresdale. “He knows so much about the game. He wasn’t a quarterback, but he knows everything you have to do. He’s been coaching for years. Jones loves football, but because of his size, he wasn’t able to carry on the tradition of being a grunt. He also plays linebacker, but unlike his dad, he doesn’t see any time on the line. Evidently not, because Jones is enjoying a terrific season on both sides of the ball. 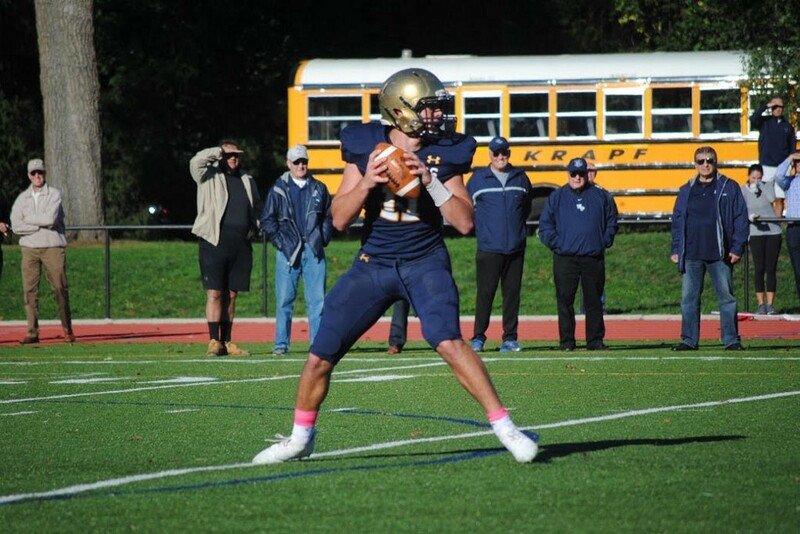 Offensively, he’s quickly mastered the Quakers offense, using his arm and his legs to help Penn Charter win seven of its first nine games of the year. Their losses have been tough ones, falling to undefeated Conwell-Egan and Malvern Prep. Both are widely considered top teams in the city leagues. In each of their wins, the Quakers have scored at least 27 points and are 3–1 in Inter-Ac play with wins over Haverford School, Springside Chestnut Hill Academy and Episcopal Academy. Against Haverford, Jones threw for four touchdowns and ran for another. He followed that game up with three touchdown passes in the Quakers’ 35–13 triumph over Springside Chestnut Hill. Last week, he did more damage with his feet than arm, rushing for 136 yards and a touchdown. He also threw for a score. Jones is happy with the way his team has been playing, especially in their competitive league schedule. “It’s tough in the Inter-Ac because we don’t have playoffs, so you have to play every game like it’s a playoff game,” Jones said. “We still have to hope Malvern Prep gets knocked off and we catch them. They’re a good team, but all of the teams in our league are good. While Jones has been enjoying a coming-out party of sorts, he’s as quick to hand out praise as he is to throw a slant pass. 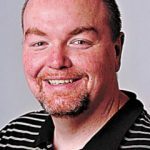 Jones has also put up good numbers, throwing for 934 yards and nine touchdowns while adding more than 400 yards and nine touchdowns on the ground. It helps to have a good weapon. But a good quarterback can make all the difference. Penn Charter coach Tom Coyle and his staff always seem to produce talented signal callers. Whether it was at Father Judge, where the staff groomed greats like Greg Hennigar, or with the Quakers, where Mike Hnatkowsky became a star, the team always seems to have a strong presence at the important position. Jones is proud to be the next in the long line of success. “It means a lot to play quarterback here but I still have a lot of work to do,” Jones said. “The better I play, the better the team plays and we want to be a good team. It’s why we put in so much work. And with the improvement comes bigger expectations. Next year, Jones will be an experienced quarterback with high hopes. And that means Penn Charter will come into the season with another chance to win the division. “I’m more worried about this year than next year,” Jones said. “But it will be good to have a year having played. It always helps you be more comfortable.